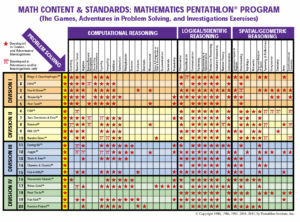 The Math Pentathlon program is a set of games that are designed to help kids enjoy math and to think strategically. Our program particularly emphasizes discovering new strategies and sharing them with your team, good sportsmanship and having fun! Our practices will help the kids learn the games in detail and to prepare for the Math Pentathlon tournament in the spring, which is a welcoming environment that encourages hard work and having fun. You do not need to be an AHB student to join our club. Students who are homeschooled or who attend other schools are welcome. 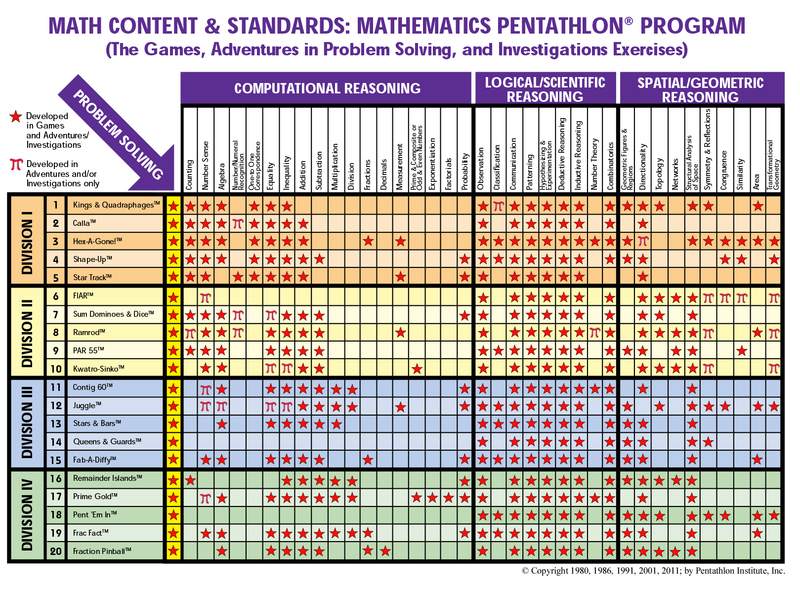 How Does The Mathematics Pentathlon® Program Help My Child? Does my child have to go to tournament if they are in the club? No, but we highly encourage everyone to try the tournament at least once! Not to mention that you’ve already paid for it! Math pentathlon club will meet at AHB, after school on Wednesdays beginning on September 12th and going until mid-April. Exact dates will be sent out once we know the tournament dates, which are usually on a Saturday in April. Division I includes students in K–1st grade, while Division II includes 2nd–3rd graders. The tournaments for each division are on different dates. $150 for the entire year, which includes your registration for the tournament and your team T-shirt. It also costs some of your time! Because we need a lot of adults around in order to make sure that practices run smoothly, parents are required to volunteer 4 times in the fall and 4 times in the spring or send a substitute (we’ll use SignUpGenius to coordinate who is volunteering when). If you do not meet your volunteer requirement, your child may not be able to attend and participate in practices so that we can have good adult/child ratios and make sure that everyone has a great experience. In addition, parents are required to volunteer at the tournament ir send a substitute if their child attends. Please contact Mandy Menzer at mmh20cornell@yahoo.com for questions or to register.